Some 7,200 market-rate apartments currently are under construction in Houston. That tally is down 54% from the year-ago volume of 15,700 or so units, the biggest slowdown in ongoing construction seen nationally. Even more striking is the decline from the current cycle’s peak of some 28,600 units on the way as of mid-2016. With Houston’s economic growth pace regaining traction, developers now are beginning to express considerable interest in this metro once more. 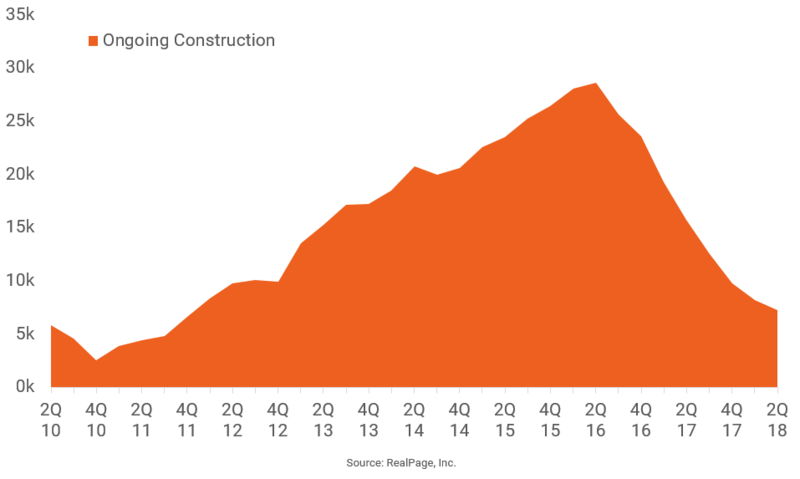 Thus, building starts seem likely to surge in the near term. For the next year or two, however, there is going to be a window when only limited amounts of new supply will come on stream. Previous Article: The High Price of Living Downtown?